This not so well known fort is situated in Patan taluka of Satara district and was built to keep a watch on the trade of Karad-Chiplun. The base village of Morgiri also gives the fort its second name of Morgiri fort. Dategad, Gunwantgad and Vasantgad can be visited in a single day with private vehicle. The hill of the fort which stands behind Morgiri village is spread North West to North East. There is a proper paved road from the village leading to Bhairavnath temple at the base. There is religious function held in this temple in December every year. There are Veerghals and some shrines on the porch opposite the temple. There is also a canon buried inverted in front of the temple. After visiting this temple, fill water adequately as required and exit from behind the temple where the path to the fort starts. From here it takes about 30 minutes to reach the base of the rock wall of the fort hill. To the left from here a water tank can be seen after a short distance trail. But this tank is in ruins currently. Continuing on the main path we come across rock cut steps which take us to the fort. From here, to our right we can see a flag hoisted on the top most part of the fort. Moving ahead towards the flag there is a dry water tank to the right. Further to the left there is a pond which is deep but it does not retain any water. On the upper side of the pond there are remains of two structures on which the flag is hoisted. After seeing the north east side of the fort head back to the place of the fort entrance and head towards north west side. There are remains of two structures on the way and further there is a water tank and a pond both dried up. Compared to the north east side there is much larger space here. It takes about 30 minutes to see the entire fort. 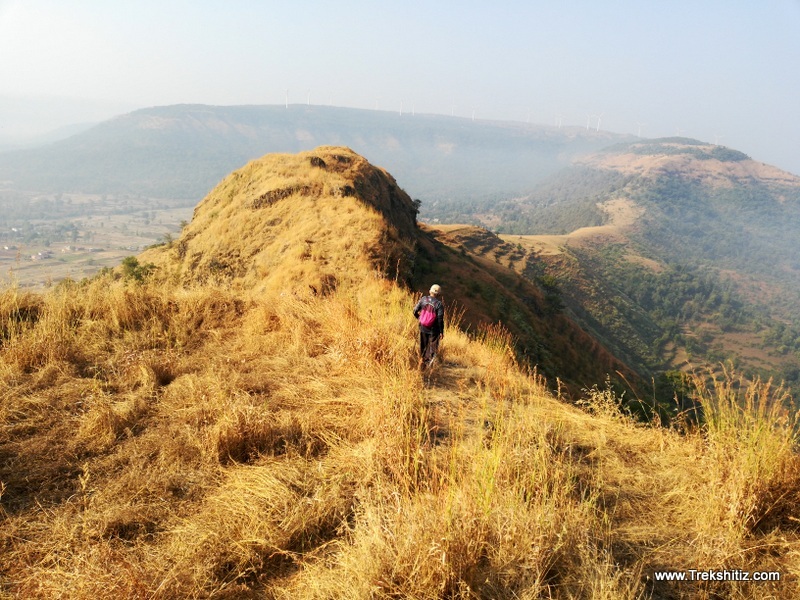 On the Mumbai � Kolhapur route, reach Umbraj, then head to Patan (28 kms from Umbraj) on the Umbraj � Chiplun road. The base village of Morgiri is 8 kms from Patan. Many S.T. buses and private jeeps ply from Patan. Available in Bhairavnath temple at the base.